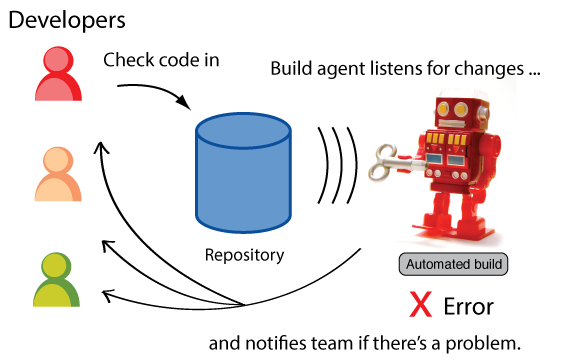 Automated testing is the most common, and easiest to setup, CI tool. It integrates with Github (Or whatever service you’re using to host your code), and can be set up to detect changes to a codebase (new Pull Request, new branch, new commit on master/develop, etc). When it’s triggered, it runs your tests automatically. If it finds a problem, it will notify the correct people, usually via email. Travis CI is very popular among Github users because it is easy to setup with Github projects and integrates well with Github workflows. It’s also free for Open Source projects, although the service itself is not Open Source. Many more on the Travis CI docs! 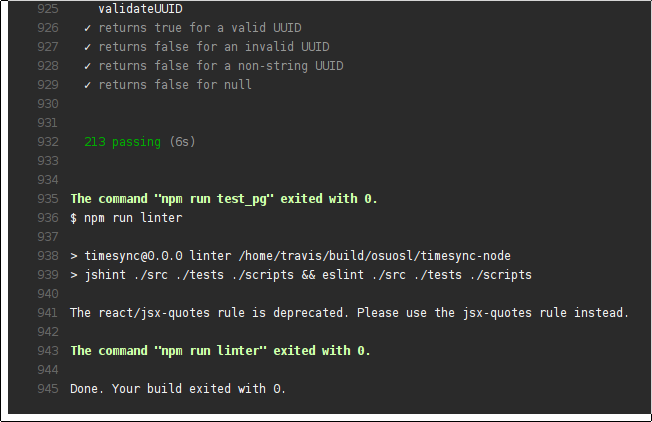 Jenkins is a more powerful version of Travis, but as a result is more complicated to use and set up. While you can pay to use a public instance of Jenkins, it is more common to run your own instance of Jenkins. Does pretty much anything you can tell a computer to do, automatically. Builds and uploads binaries (releases). We’ve spent the past two lessons building and testing a web app. Now, let’s upload it to Github and set up CI on it. First, if you haven’t already, create a Github account. Repository name: You can put anything you want here! Description: You can also put anything you want here! 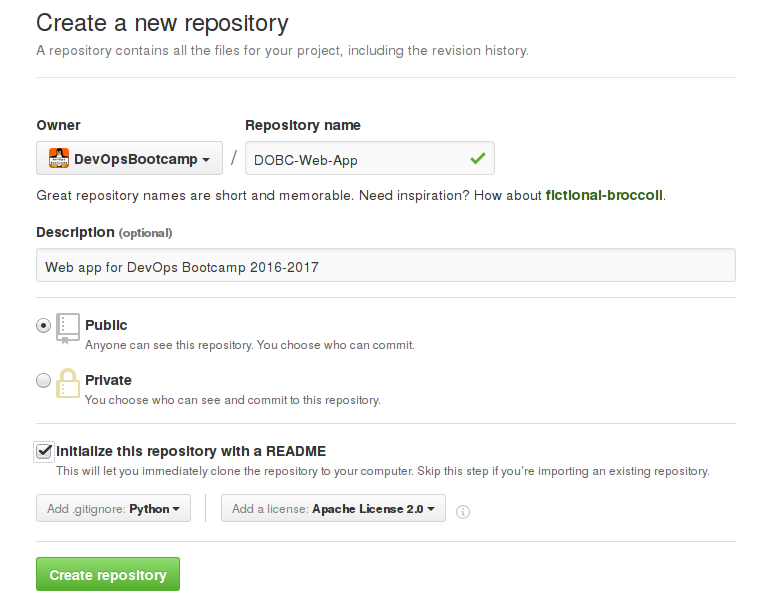 Click “Create repository” and you will be taken to your newly created repository. Next, click “Clone or download” and copy the URL inside the text box. Inside your command line, run git clone <url_you_copied> to make a clone of your repository. Copy the contents of the “Frameworks” exercise directory into the cloned repository, then add them to Git with git add -A and commit them with git commit. To push your code to Github, use git push origin master. Refresh the repository in your web browser to check that your code was successfully pushed. Next, go to the Travis CI website and click on “Sign in with GitHub”. This will automatically sync all of your Github repositories to Travis. Go to your profile and locate your repository, then click on the button to enable Travis. Add and commit the file, then push it to Github once more. If everything was set up correctly, you should see Travis trigger automatically and start testing your app. The Jenkins project documentation. If you need a broad overview read the Getting Started with... docs. If you end up working on a large project on GitHub you’re going to interface with TravisCI sooner or later. CircleCI is a tool we didn’t get to touch on. It is very similar to Travis.